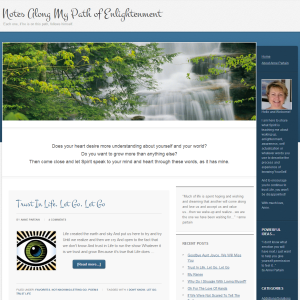 The Path of Enlightenment website was created for, and mostly by, my wife, Anne Partain, to chronicle her thoughts and ideas along her path of growth. This site was built using the Education Child theme on the Genesis framework. Visit The Path of Enlightenment. Choosing the right partner to help with your online marketing can be a real challenge. At IPG Search Marketing we have been very effective in working with companies of all sizes, from startups and small, local businesses to national franchises and their franchisees, to improve their entire online marketing process. We've been taught by some of the best in website development, search engine optimization and local search optimization and we continue to stay on top of the latest developments in all of these areas. In addition, we have a driving passion for helping small businesses succeed with their online marketing. In fact, one of our goals is to help 100,000 small businesses do just that. Hello, my name is Ken Partain and I personally oversee every single SEO and Website development project that we take on at IPG Search Marketing and I stand behind our work 100%.